Captain Marvel, the upcoming Marvel film starring Brie Larson, has largely been shrouded in mystery. 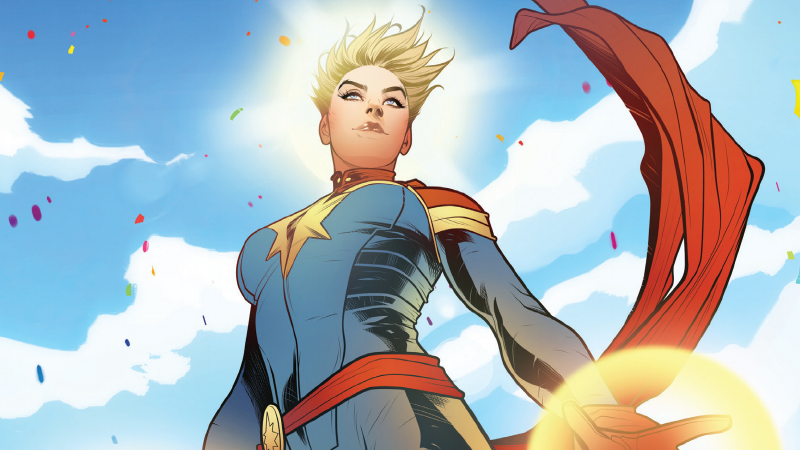 Mainly, what will it be about, and how will Carol Danvers get her superpowers? We might finally have an answer—or at least a hint of one. And it’s all about a surprising connection with Ant-Man. In an interview with Inverse, quantum physicist Dr. Spiros Michalakis chatted about his work in helping create the Marvel Cinematic Universe’s Quantum Realm, which is a place “where time and space dissolve.” This realm, formerly known as the Microverse, was visited in Ant-Man, where Scott Lang went sub-atomic to save his daughter from Yellowjacket. It’s since been connected to Doctor Strange with the multiverse, though Michalakis didn’t work on that film and they are considered separate things. According to Michalakis, the Quantum Realm will play a role in Captain Marvel. He wouldn’t go into detail about how, but said the realm will give a better understanding of Carol Danvers and what role she plays in the MCU. This likely means it won’t be the realm itself, but rather something connected to it, like the multiverse. We already learned her origin story will be different in the film than in the comics, so it could mean her powers won’t come from a Kree superweapon explosion, fusing her genes with those of the Kree, but rather something more metaphysical. Michalakis also talked about how Ant-Man’s powers might make him one of the most powerful superheroes on film—and yes, that includes Superman. When asked how that could be possible, he said it’s because Superman still has to obey the basic laws of physics, but Ant-Man exists outside of those rules thanks to the Quantum Realm. He occupies a space where he can bend reality in a way that could defeat any opponent, whether it’s by changing his size to be bigger and stronger, or even going so far as to create a black hole for Superman to fall into. Ant-Man’s next film, Ant-Man and The Wasp, is set to come out next year. Captain Marvel won’t make her solo debut until 2019.